During our journey on worship, we discovered that our faith grows when we realize that worship is bigger than its cultural context. We also grow deeper in faith when we learn how to worship God in Spirit and in truth (John 4: 23 – 24). Yet we need not restrict worship to be within a ‘religious service.’ Our whole lifestyle can involve worship. If worship is at the very core of our lifestyle, our relationship with God can grow in any location. This includes the workplace. Worship, ministry, secular work can all become places of transformation. Work and ministry become deeper and this gives God an opportunity to make the work really matter. You can also worship God inside you no matter what you are doing, and this is a real secret of contentment. Worshipping God in truth also means that you are are truthful about who you are. Once you realize, deep within you, who God is to you (as your Father), you can choose to worship Him without issues getting in the way. The ‘baggage’ needs to be left behind as we are called to go and examine our roots – as Christians; to the Holy Land, and as Anglicans; to Canterbury. Christians of other denominations could also visit the spots of where their denominational stream started; especially if their church began in renewal, revival or inspiration. Mission sites and revival spots from church history are special places to learn about the lives and stories of faithful Christians who have gone before us. However, the Holy Land often surpasses them all – the land where the Old Testament and much of the New is steeped. While I have not yet been to Jerusalem, I have been to four special pilgrimage places in the UK. I would love to go to more places, but they may come later. Meanwhile, Lindisfarne remains the strongest of those places in my own life. Lindisfarne , also known as Holy Island, is on the north east coast of England. There are many classic books on pilgrimage. Two of these are Chaucer’s Canterbury Tales, and John Bunyan’s The Pilgrim’s Progress. Although we live in a western post-Christian society with shrinking church membership, the interest in pilgrimage has increased exponentially even among non-Christians, who are interested in the journey experience. 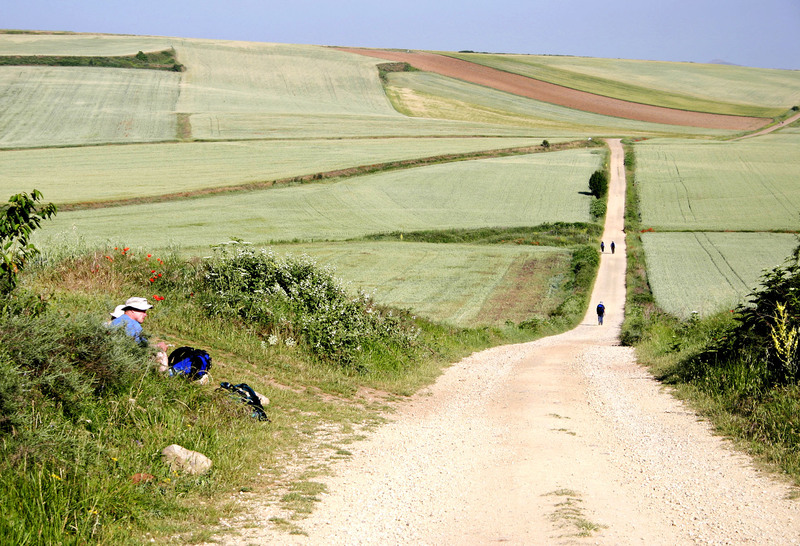 Some of these journeys include Jerusalem, the Camino trail in northern Spain, as well as the Roman Catholic journeys to Lourdes, Fatima, and sites in Ireland. I’ve been drawn to Lindisfarne Holy Island since I was a teenager and I have found it my special ‘thin’ place. This means that the Holy Spirit is as close as a breath away, as are special saints Aidan and Cuthbert. Others with Celtic background may be drawn to Iona, in western Scotland, which was founded by St. Columba from Ireland. Others have been drawn to see places where the Apostle Paul preached which include numerous sites in what is now Turkey and Greece. Others cannot afford to go to the Holy Land or even Europe. So, there is an option of a ‘virtual pilgrimage.’ Virtual pilgrimages may include the Virtual Holy Land walk at Bethesda Renewal Centre in Ashton, Ontario. This walk follows a similar shape of route (if viewed from above) to the Apostle Paul’s second missionary journey. There is also a theme park in Orlando, Florida called the Holy Land Experience. Why do people feel drawn to these holy places? What do people hope to glean from them? When I first visited western Ireland in 1990, I fell in love with the atmosphere of County Clare, and the little village of Kilfenora. I found a tiny Anglican Church that was in ruins, but they still held a service, which I attended. They had an ancient high cross nearby in the middle of a sheep field. I drew that lovely scene, and I showed the photos and my drawing to the pastor I had at the time. His name was Laurie. When he viewed my photos, he smiled and quoted Joshua 4:21, which was when the Israelite children asked what ‘those stones meant.’ (This was concerned the memorial crossing of the Jordan river into the Promised Land). Laurie referred to the ruined stones (of the old church and the high cross) as a monument. It became a place of learning about our deep historical faith. He was right; the place was of special significance for the area of County Clare. The biblical leader Joshua reminds his people about these Gilgal memorial stones when he said, “In the future, when your descendants ask their fathers ‘what do these stones mean,’ tell them Israel crossed the Jordan on dry land.” We, like those ancient Israelite children, are also drawn to our spiritual roots. This is a good thing, since God may draw us deeper to Himself, if we prepare our hearts for the journey. I have always loved church history. So when I have journeyed on each of my pilgrimages, I have gained a deep appreciation for the work of God throughout history. God is always the same, yesterday, today and forever. He blesses his children throughout Biblical and church history. So when I go to these places, I keep my eyes and heart open for what God would have me sense. When my husband Tony and I were in Canterbury – the headquarters of the Anglican church, we received a deep sense of intercession for the Anglican Church. We prayed in Canterbury Cathedral Trinity Chapel, where St. Thomas à Becket’s relics are housed. 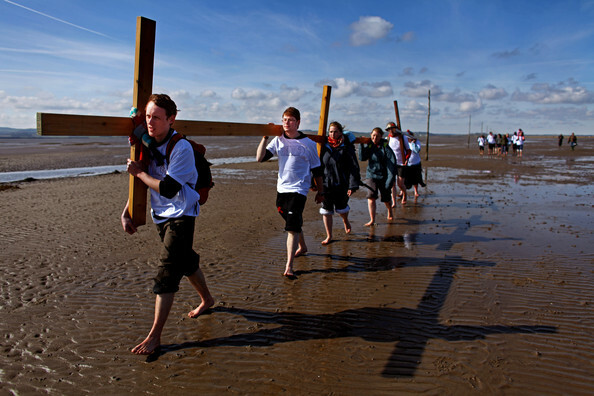 Then, while we were barefoot pilgrims on the way to Lindisfarne Holy Island, I was given insight of how two historical Celtic Christians handled the difficult parts of the sea flat journey to that special island. These difficulties were taken in stride within the context of worship and rhythm of balance. I also learned that rest can be holy. When we were in Durham Cathedral, I gave thanks for the lives of the Venerable Bede and St. Cuthbert. They were foundational for the Christian faith in northern England. Cuthbert’s tomb still is a place that inspires deep worship from the depth of your soul, since the Holy Spirit’s presence is so strong in that site. I visited what is believed to be St. Patrick’s resting place in Downpatrick Cathedral, County Down. While the local Catholics were actually praying to Patrick, I gave thanks to the Lord for a great missionary and I wanted to learn more about him. I wanted to learn not just the legend of Patrick, but who he really was, how he depended on the Lord, and how I could grow in my faith because of his example. I have always loved church history, and at one time wanted to take a doctorate in the discipline. I especially focused on the history of missions, renewals and movements for God. We can learn a lot from those who have gone before us, those Christians who are now part of the ‘great cloud of witnesses (Heb. 21:1).’ We are not alone in our faith! and I strive never to do anything apart from that desire. Next time we will explore how the desert places can also help us grow in God.